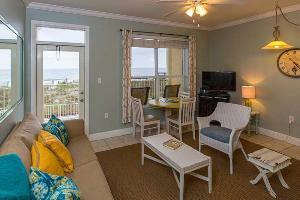 Veranda 102 is a Gulf Front 1 bedroom 1 bath (with bunk beds) that sleeps 6. 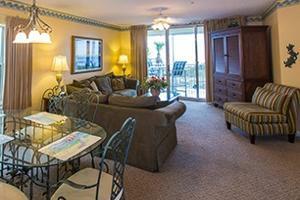 The Condo is newly remodeled and is in the Veranda building in Fort Walton Beach. Enjoy radiant views of the Gulf of Mexico from the comfort of your living room or while relaxing on your private balcony during your stay at Blue Dolphin #202. 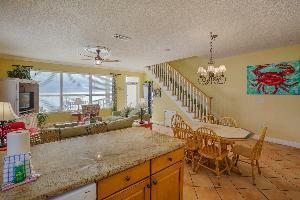 Gulf-front penthouse unit (2000 sq. ft.), Sleeps 8-10 people, 3 bedrooms with king beds, 2 built-in hallway bunk beds, and 1 queen sleeper sofa. 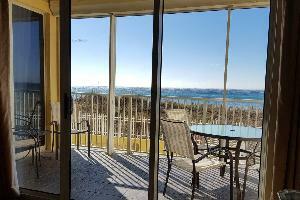 Gulf-front penthouse unit (2000 sq. 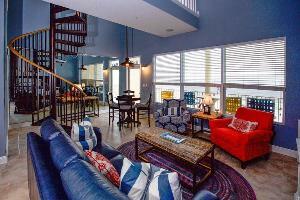 ft.), Sleeps 8 people, 3 bedrooms with 1 king beds, 2 queen beds, 2 bunk bed Corner unit. CONDO RENTAL PAYMENTS WORK LIKE THIS. 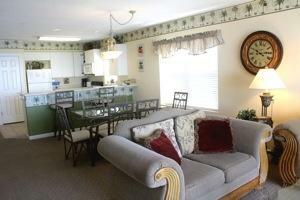 TO CONFIRM A RENTAL, WE NEED TO GET A $200.00 DOWN PAYMENT. THIS $200.00 COMES OFF THE BALANCE WHICH IS DUE APPROX 2 WEEKS BEFORE ARRIVAL. UPON CONFIRMING A RENTAL WE WILL SEND YOU A RENTAL CONTRACT THAT NEEDS TO BE FILLED OUT AND E-MAILED BACK TO US IN THE SELF ADDRESSED STAMPED ENVELOPE WE PROVIDE. 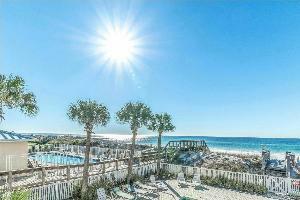 AFTER FINAL PAYMENT IS RECEIVED, WE WILL E-MAIL TO YOU THE DOOR CODE MAPS ECT… YOU SIMPLY GO TO THE BEACH UNLOCK THE DOOR AND ENJOY THE CONDO. A DAMAGE DEPOSIT IS REQUIRED ALSO. ALL YOU NEED FOR THE DAMAGE DEPOSIT IS A VALID CREDIT CARD NUMBER ON FILE WITH US. THE CARD WILL NOT BE CHARGED UNLESS THERE IS DAMAGE. 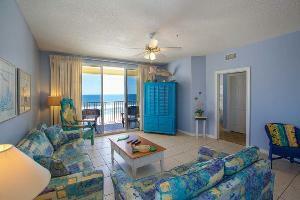 THANK YOU FOR YOUR BUSINESS AND ENJOY YOUR STAY AT THE BEACH!